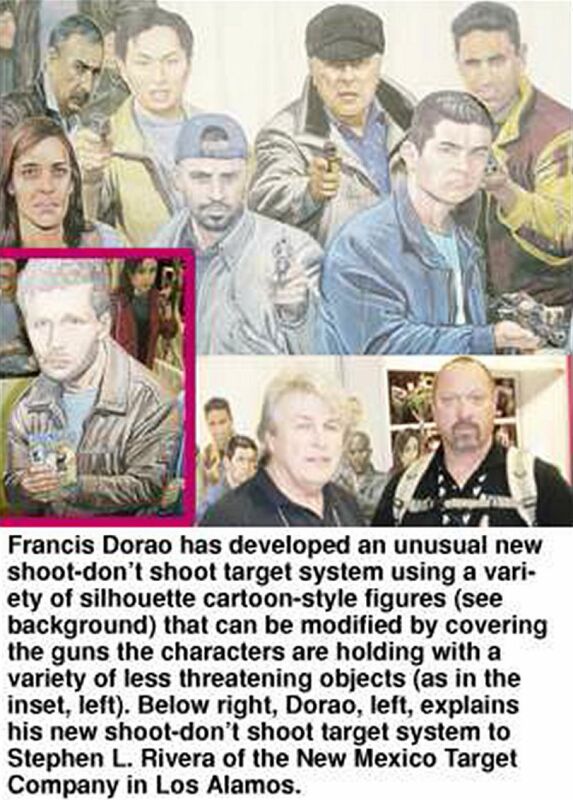 Monsieur Dorao came up with the idea of using his well drawn figures on the police shooting range. He has several overlays that can transform a bad guy holding a pistol into the same mean looking dude holding a bottle, an ice cream cone or a wrench which are ideal for "shoot-don't shoot" training programs. 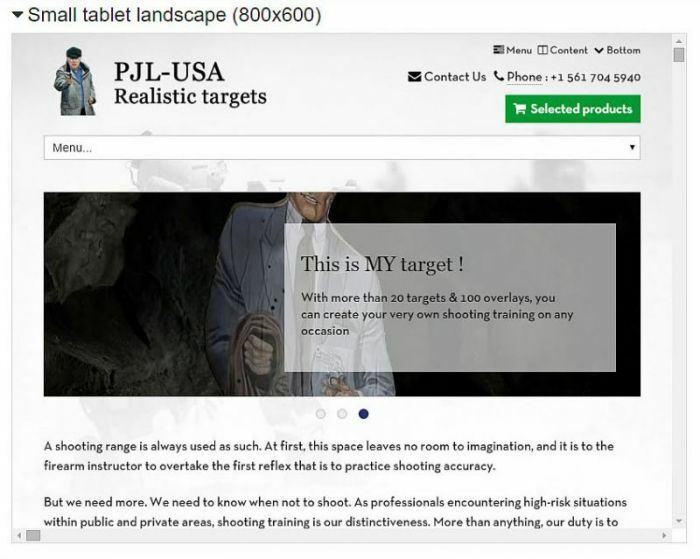 The targets, which are drawn by a European comic book artist, Malik, give a more three-dimensional look than the flat photographic representations that most police departements use. Francis DORAO has developed an unusual new shoot-don’t shoot target system using a variety of silhouette cartoon-style figures that can be modified by covering the guns the characters are holding with a variety of less threathening objects.